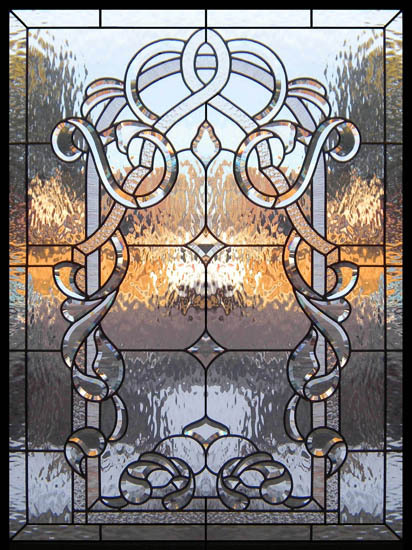 Scottish Stained Glass has designed a unique collection of custom stained glass and leaded glass panels influenced by the palaces of Europe and the Victorian mansion homes of older American cities such as New York, Boston and Chicago. 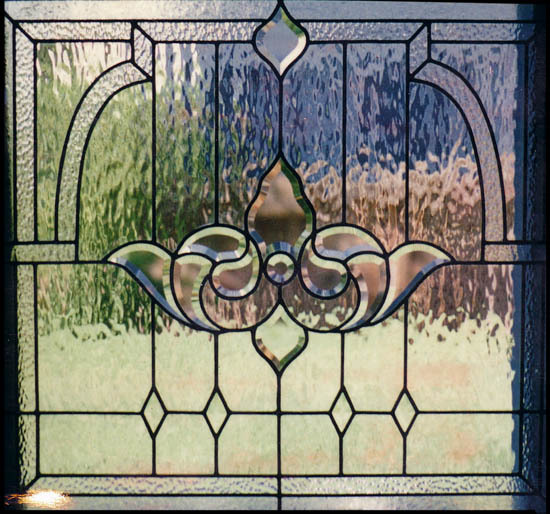 Our designers are experts at replicating certain styles, or even a particular piece of traditional stained glass. 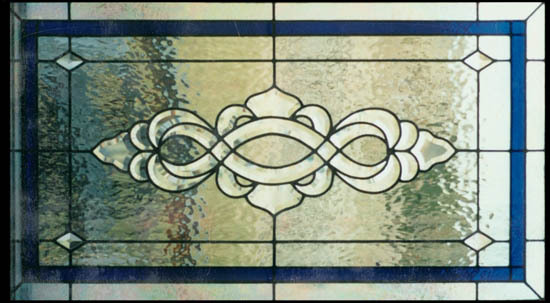 Most of these stained glass window designs feature the use of beautifully hand cut beveled glass pieces. 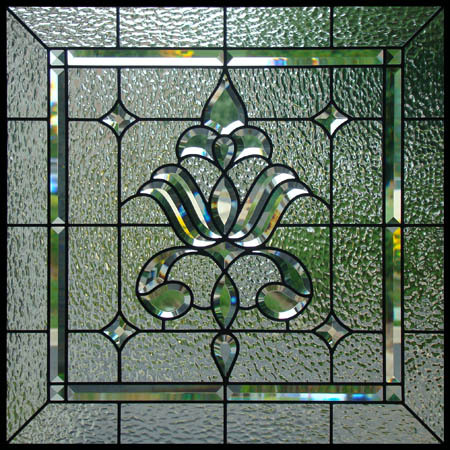 Beveled glass is made by taking thick clear glass and cutting it into the desired shapes. These pieces are then ground down around the edges and polished at an angle. When the light shines through these pieces an incredible array of prisms is produced which brighten up the room with rainbows of light. Floral Stained GlassThe beveled pieces can then be combined with clear textured glass or sometimes colored stained glass to produce stunning results. 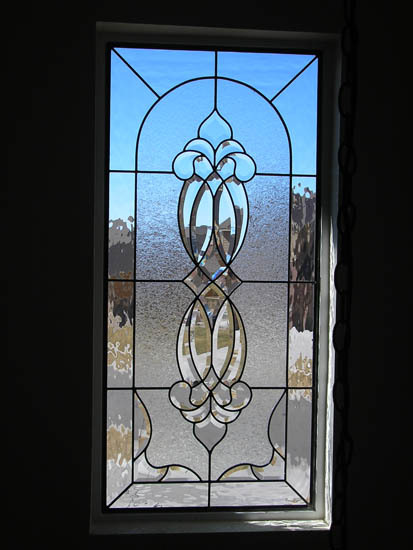 Our clients love the elegant look which our beveled glass brings to any room or area of their homes. 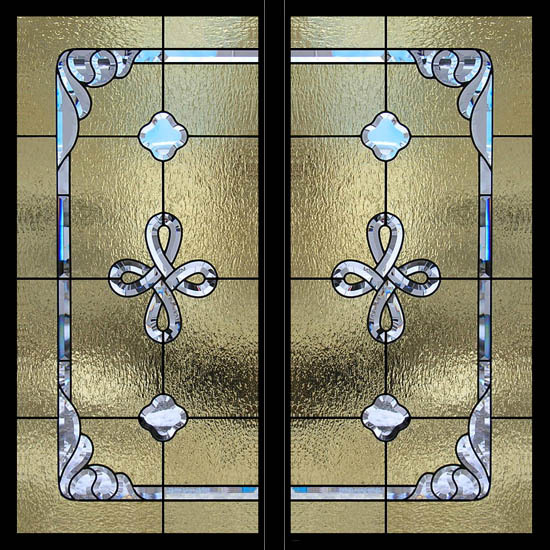 The most popular area would be the entryway but, as you will see from the images on this page, hallways, bathrooms and clear story windows are also very popular.Scottish Stained Glass has over 1000 different traditional stained glass beveled designs in our collection and has used these pieces to design around 30,000 leaded and stained glass window and door panels over the past 20 years. Most of these beveled glass patterns are available to show potential clients via our computer design system which stores and saves every design.Our designers want to ensure that you love the piece you purchase with us. We have the ability to create CAD pictures of what your stained glass window will look like, along with sketches, before we even begin the building process. This will gives the designers the opportunity to tweak designs to find the exact right look for you, and it will put your mind at ease once the order is actually placed. 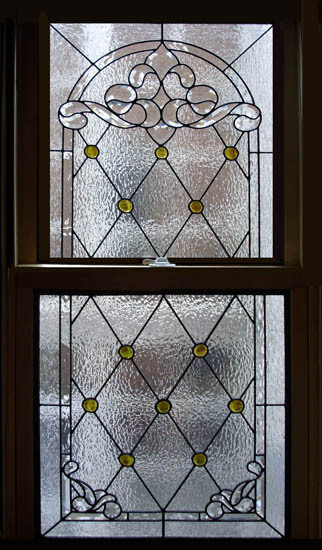 If you’re interested in getting a traditional stained glass window installed in your home, feel free to give us a call or send us an email at any time. Our staff can answer all of your questions about traditional designs, and set up a consultation with one of our talented designers to begin working with you today!